Top Custom Whiteboard Animation Artist Is Nowhere But In Your Room! The best custom whiteboard animation artist gives much of his time to succeed your project. He lives not far from your place but possibly you'll get him coming from different continent. You know what that means. Everybody has access to the internet and you can get one from home, without worrying about getting trapped in traffic jams. Life is getting easier, thanks to the Internet! What kinds of presentations would you like to have, anyway? About political issues, some tricky games corruptors manipulate the budget? Or about how to dress well that without a suit you still can even be a movie star? Or pure business to promote your product or other related presentation? You must look for the Top Actor, an animator who provides unique custom whiteboard animation video and don't really care about some are making money from drawing hobby, you bet! The world gives many options as to how to select and shortlist your candidates. Everybody will claim that in his hand everything is gonna be like magic, nothing to worry about. This man will bring your boring presentation to life and he says he will make a quick delivery. Then you come to offer drafts and just let him do the best for you, wishing for a marvelous artwork. That’s all; you are hoping to see the result as per your expectations. Here is the performer who gives custom drawings, original hand drawn whiteboard animation video. But, the work turns out to be far from what you really want and says that this man is selling nonsense. No quick delivery as promised, instead, he’s getting mad of you and accused you of becoming a dreamer! What’s wrong? Too many people expect to much that the artist whom they hire can be a magician. But even if there’s a claim the world has the best man who can do anything for you, he’s only human, no body is perfect. You want something amazing to make your work stand out from the crowd but animation it’s like building a house, you must prepare well your blueprint. You need custom whiteboard animation, but the animator needs also your input to split to the white page. You cannot slave him to make revision per revision as much as you want because you don't know what you really want and make experiments instead; for some reason it’s not totally his fault. if you’re looking for the best person for your project, make sure you provide as best as you can all the requirements needed and split it to a storyboard. There’s a guidance to follow. Not only your instruction is much helpful to him but also to yourself to make you a realistic person. You just cannot blame others unless you look at ourselves. 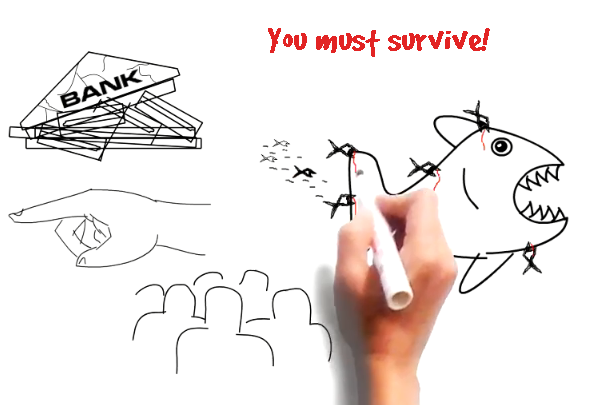 Top whiteboard animation services scatter everywhere in the Internet. Animators outnumber them. You can find the best artist for your customized video as you wish. If you happen to come across this tickle your fancy site and think I am the right person to do your job, it’s a pleasure. Let’s rock and have yours to stand out from the crowd later. Anyway, you don’t have to kick out your boring presentation after reading this. Good luck. Okay, that may sound a bit on the harsh side but if you sound bored, you are just going to put everyone else in the room to sleep. There’s a reason why actors get hired to be product endorsers – they aren’t dull, and they can get the job done with the right script. They also didn’t pull an all-nighter working your presentation. The idea of having a rocking piece of animation or some flashy do-dad dancing across the screen on your home page is to get people engaged. There must be some uniqueness to attract attention. You are trying to bring them into your website to learn more about your product or service. You don’t want them leaving in droves because your website is well, in need of a facelift. Whiteboard animation can save your website, especially customized and unique ones. Admittedly not everyone is an artist. However, if your presentation has charts, graphs and other fun elements in it, the best way to get past the Bore Factor is to have something attractive to look at as you go on and on about stats and stuff. Stick figures and graphs that are in crayon don’t get the job done. Unless your three-year old son did them, but would you really do that? This one I’ll let you have. Not everyone is aware of the affordable video marketing possibilities of unique custom whiteboard animation. This isn’t your Saturday Morning cartoons, either. However, funny presentations do a good job of feeding boring information in a light-hearted and enjoyable way. Flipcharts and sticky notes are old school. It’s time to catch up! If you have been trying to find another way to keep staff up to date, share information about your service or promote a product that is memorable, fun and interesting, then I can help. My unique whiteboard animation is custom tailored for your specific needs. It won’t be used anywhere else for anyone else. I custom make each and every order. The dose of humor I inject is the same for everyone so expect some laughs and a little silliness. But also expect results. Welcome baby, not only you’re free to tickle your fancy here, but also you’re allowed to kick out your boring presentation, sorry, that’s too much---and start thinking of a unique script to bring to life and to make your business stand out from the crowd. Contact me today!